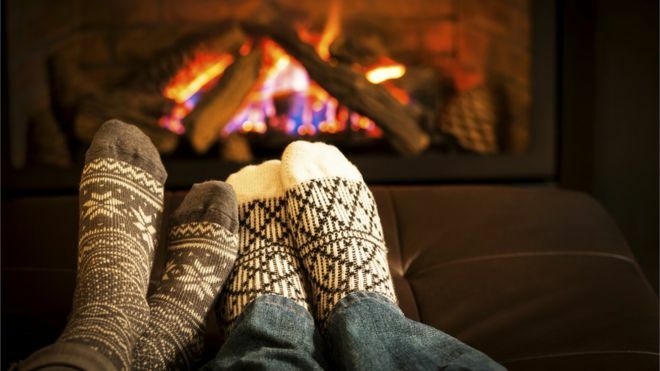 people on Earth, love nothing more than to hygge. But what do they do then when things aren’t so cosy? They say the magical word: ‘pyt’. Danes, often hailed as some of the happiest people on Earth, love nothing more than to hygge. That could mean reading a book while snuggling in a blanket (likely made from wool from a sheep on the Faroe Islands, also part of Denmark), or a cosy night in with loved ones, laughing in the velvety candlelight with a cup of hot chocolate, gløgg (mulled wine) or coffee, depending on the time of day and year. But this picture is almost too idyllic. Too perfect. As a hygge-loving Dane, I can say for sure that even Danes have rainy days. So what do we do, then, when there isn’t any help to be had from these cosy accompaniments? We say the magical word: ‘pyt’ [‘pyd’]. Or press ‘pyt-knappen’(the ‘pyt’ button). ‘Pyt’ is so beloved by Danes that in September 2018 it was chosen as the nation’s favourite word in a competition held by the Danish Library Association during the country’s annual ‘Library Week’. Interestingly, ‘hygge’ didn’t even make the winning shortlist. He came across ‘pyt’ when first learning Danish. “Danish is an exceptionally monotonous language. It’s like listening to a musician with a limited range. Then I started to notice this one word that stuck out; not only did it stick out from the Danish range, it also had a nice sound to it,” he said. It’s true that Danish will probably never be voted the world’s most romantic language due to its many hard and guttural sounds. However, the sound of ‘pyt’ is delicate and soft. During my interviews with MacDonald, we talked about how ‘pyt’ is usually used to show acceptance of a frustrating and unchangeable – but not life-threatening or life-altering – situation. Part of that is obviously the meaning of the word, but it’s also the feeling and atmosphere the sound of ‘pyt’ creates. But while the Danish language is full of linguistic valleys and mountains – with Jensen even introducing me to the expression ‘Danish isn’t a language but a throat disease’ – the same cannot be said of the country’s landscape. Denmark is probably one of the world’s most bicycle-friendly countries, due to its mostly flat terrain. However, no-one can prepare for freak accidents, which my family and I learnt from a British couple who decided to explore Jutland on their bikes more than 20 years ago. Towards the end of their holiday, the wife fell off her bike and broke her collarbone. They happened to be outside a little town called Sønder Omme, about 20km from Billund (home to the original Legoland), and easily found the local surgery. The doctor on duty (my father) took the couple to hospital for treatment in the next town. As she was taken to X-ray and later patched up, my dad called my mum to say he’d be home later than usual. As he was explaining the situation, my mother suggested he invite them over for dinner. By the end of the day, not only had the British couple experienced free Danish healthcare and eaten with a local family, they’d also been introduced to the word ‘pyt’ and its ability to diffuse a tense situation. I don’t remember what we ate, but knowing my unflappable mother and the short notice she was given, it was most likely leftovers put together in some pretty dishes, laid out on a tablecloth with matching napkins and crockery. When we were all sitting down, with food on our plates and red wine in our glasses, my father raised his glass for the traditional before-we-eat ‘skål’ (cheers). As the British man reached for his glass to join in, he knocked red wine all over the white tablecloth. There was silence. The wife turned to her husband with a look of profound displeasure, when whatever she was about to say was interrupted by my mother. “PYYYYT med det! (Don’t worry about that!) We’ll wash the tablecloth tomorrow,” she exclaimed. The rest of the evening was pure ‘hygge’, and the couple came over for dinner again a couple of days later. The power of ‘pyt’ had changed the atmosphere from potentially bleak to one of relief. Visitors to Denmark can even buy their own version of the ‘pyt’ button in local shops. These red-and-white plastic buttons resemble the ones that contestants in TV game shows press when they have the right answer. Press it and you’ll hear the word ‘pyt’, reminding you to step back from the situation and refocus. I even received a ‘deluxe’ version for Christmas that had a recorded sentence of encouragement: ‘Take a deep breath. Everything is going to be alright’. The word seems especially appropriate in a country with incredibly unreliable weather. Over the years, I have been part of numerous last-minute changes of plans, when optimism once again took over reality. Picnics and barbecues have been moved inside, and beach trips turned into visits to indoor pools. Each time one or more ‘pyts’ have been uttered, deep breaths taken – and a plan B drawn up. And I’ve learned that these alternative plans often end up being ‘hyggeligere’ (cosier) than the original ones.